Dear Gabacho: Of course it’s a Mexican problem—while gabachos like yourself use such plants as ornamentals, Mexicans have long revered the agave (which, a propósito, isn’t a cacti) for its many uses—you named some, but others include making teas, creating ropes out of the fibers, and even needles from the sharp points at the end of the leaves. And don’t forget that each leaf, if properly cared for, will sprout in into its own plant. 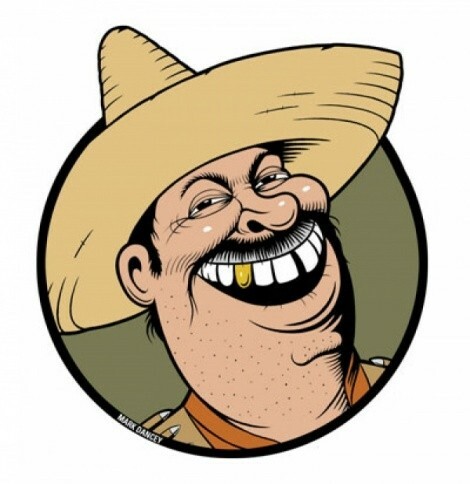 Sorry to say, but you really can’t do much to stop the thievery—Mexicans pick all crops and plants before them (even if on private property) as a matter of habit given that’s been our American-requested mandate in this country from Día One. Dear Gabacho: No one has ever said that a gabacho love for Mexican products translates into a gabacho want for more Mexicans—actually, quite the opposite. From the first Ramona-themed picnics to today’s luxe-loncheras, gabachos have tried their darndest to remove Mexicans from the equation of consuming Mexican culture, and have done an amazing job at it—just look at chili, then move on to your bar’s Drinko for Cinco celebration. It’s a concept academics call appropriation, but the rest of us call hipocresía—ya need a translator for that? GOOD MEXICANS OF THE WEEK! Dr. William Nericcio, English professor at San Diego State University, is the Mexican’s Mexican: a brilliant, scabrous modern-day Socrates save for the pederasty. His expertise has appeared in this columna before, and I’m proud to report Nericcio has finally redesigned his Tex(t)-Mex Galleryblog, where the profe takes his semiotics-obsessed scalpel to dissect news affecting Mexicans in this country with his academic-chúntaro desmadre. Read for yourself at textmex.blogspot.com.